Hello from vaporl.com, Glad to be member of e-liquid-recipes.com. 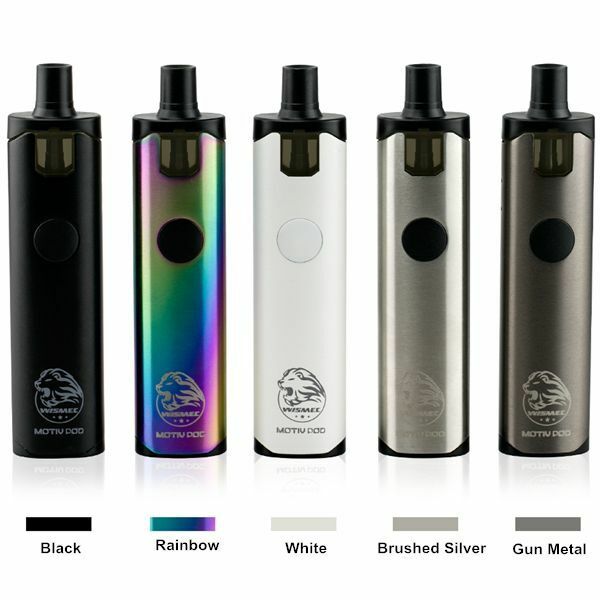 vaporl.com is an online vape store offering an industry leading selection of electronic cigarettes gears and accessories. We guarantee our vaping products to be 100% genuine and the lowest possible price. We provide world wide shipping. We will keep your updated on our latest promotion activities in this thread. Here are the latest deals from us, The deals end in April 30, 2017. Orders including 49.99 USD or more qualify for Worldwide Free Shipping. Glad you could join us ! 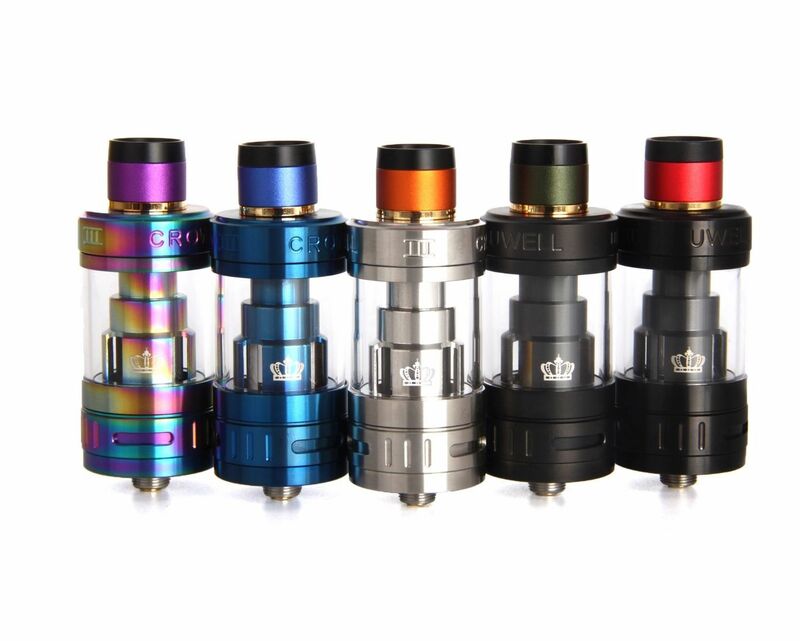 The latest and most popular tank - UWELL CROWN III Sub Ohm Tank Atomizer is available now! 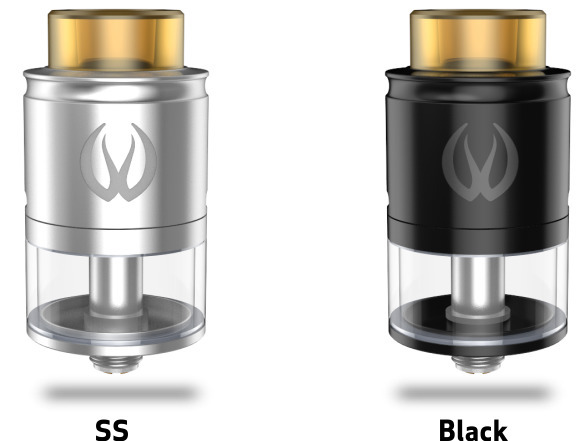 The Uwell Crown 3 is a pre-built coil tank atomizer that begs you to turn up the wattage. Featuring the bones of the bulletproof Crown line of tanks, Uwell built and further developed the airflow control, leak-resistance, fit and finish to churn out a perfectly mastered atomizer like never before. Uwell Crown 3 is your solution to a bulletproof daily setup tank that is powerful yet efficient. The UWELL CROWN III Sub Ohm Tank Replacement Coil is a highly innovative performance atomizer technology for the Uwell Crown III Tank. It is specially made with a cone-shaped connector design, allowing optimal airflow directly into the core. The iStick Pico RDTA is an intuitively designed all-in-one style setup, presenting the same excellent performance as the popular iStick Pico and an innovative rebuildable dripping tank system in a compact yet stylish package. The tank can easily be refilled by a large fill port on the base and has an internal light that helps check e-liquid level. A removable dual post deck, an 8-hole adjustable and extensive airflow, a wide bore drip tip and an easy wicking system all make the iStick Pico RDTA a must-have for all build enthusiasts to enjoy vaping to the most. 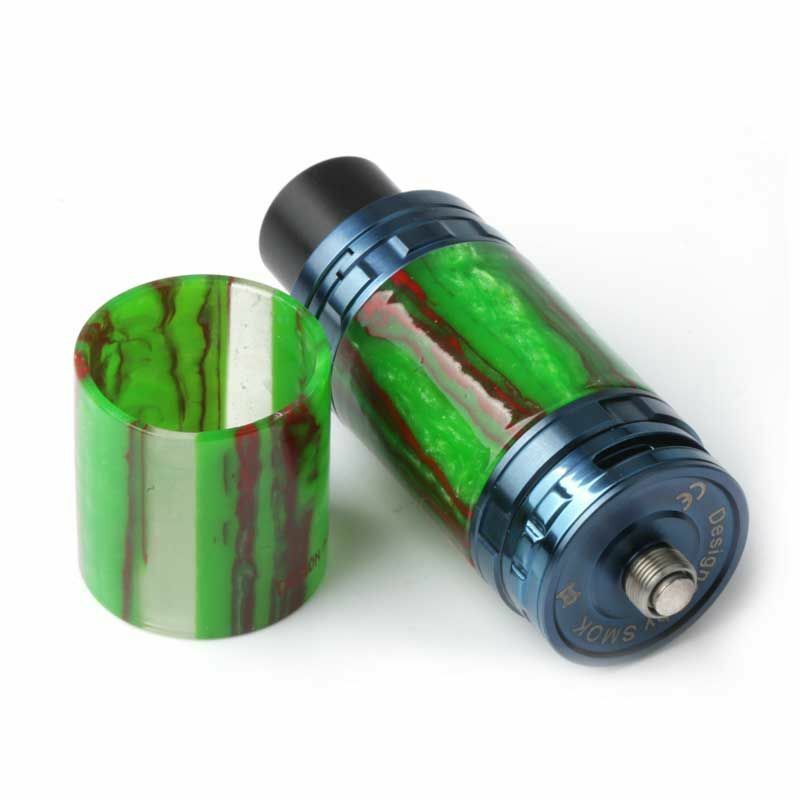 Rofvape Witcher Stalin 40W E-pipe Style Starter Kit features the design of a classic tobacco pipe, with one power button for vaping, easy to use, the surrounding light will shine green blue or green depending on the remaining battery charge. 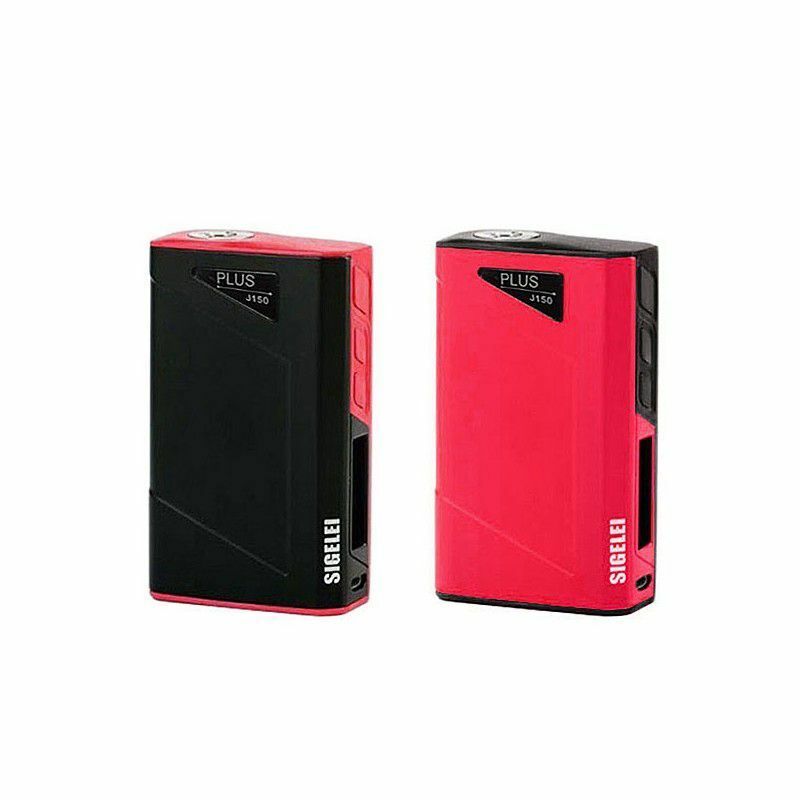 works with internal battery of 1000mAh and the maximum power can reach 40w, supports VV/VW mod for great plumes of vapor with a fantastic taste. 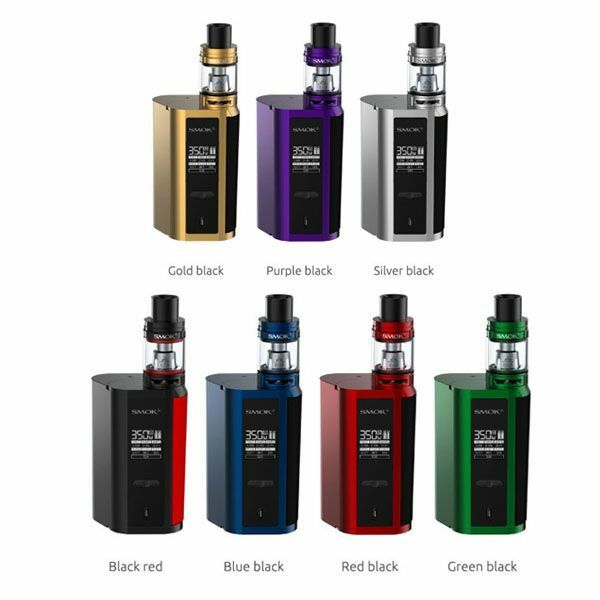 The tank can hold up to 3ml of e-juice, features adjustable airflow and gold plated brass electrode for superior efficiency. Features childproof opening system, top filling, replaceable liquid tank tube, stainless steel and 100% Japanese organic cotton, this Justfog FOG1 kit is right here for you. The Joyetech Penguin is at the forefront of next-gen beginner tech. The all-in-one with an internal cell is capable of up to 50 watts of power, adjustable. 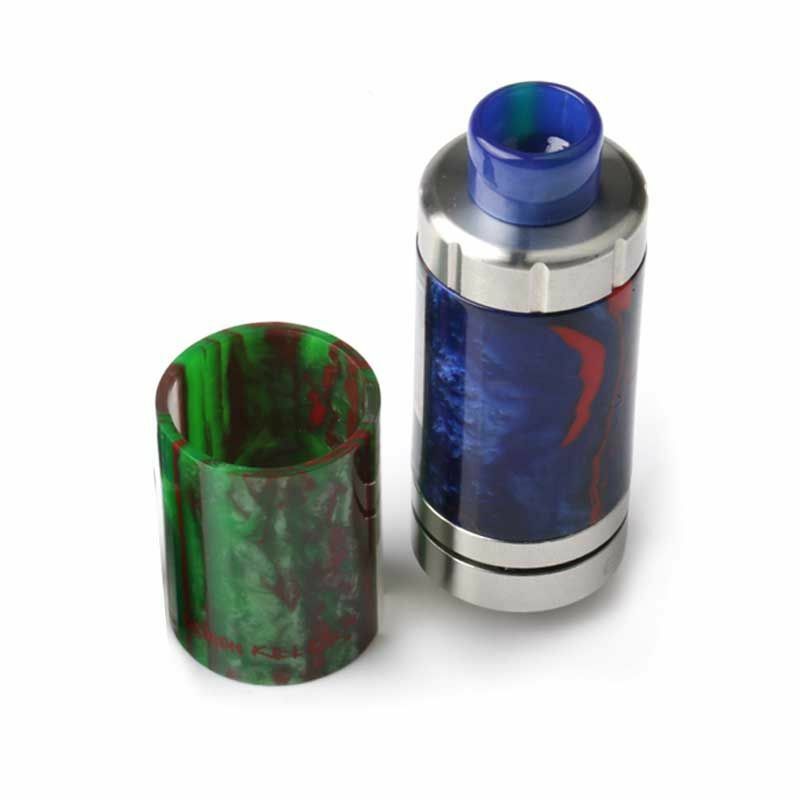 Only two moving parts on this device, the reservoir/battery and the top lid with encases the atomizer. Cartridges are still under development, and may include re-fillable pre-built atomizers. Powered by the 32-bit super US Gene Fun chip, the VOOPOO DRAG can bring what you have always wanted - Max 157W output power, powerful temperature control of Ni, Ti and SS coils, super mode with 130w and the fastest fire speed ever at 0.025s. You can always keep the mod up-to-date with upgradeable firmware too so you will never miss anything new. The attractive appearance is another feature that makes this mod simply irresistible: don’t miss out! The SMOK Baby Alien AL85 Kit with TFV8 Baby Tank is a compact 85W device that features Smok’s latest and greatest Temperature Control Technology, single 18650 functionality and beautiful design elements that were inspired by the critically acclaimed 220W Alien platform. This compact, pocket-friendly device is constructed out of Aluminium-Zinc Alloy and stands at only 71mm tall and 48mm wide, offering a sturdy and portable form factor while maintaining the same ergonomic satisfaction as its predecessor. Adding to the Smok Baby AL85 Kit unique look is the all new top-loading threaded battery compartment that allows for ease of access to the single 18650 battery bay with just a few simple twists of the top cap. 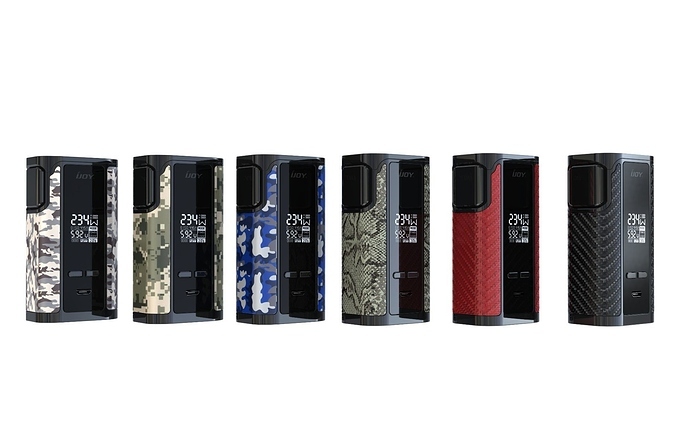 Wismec’s Reuleaux DNA 250 Box Mod is the fusion of Jay Bo and Wismec’s revolutionary designs with the current flagship chip from the world’s most respected chip manufacturer, Evolv’s DNA 250. 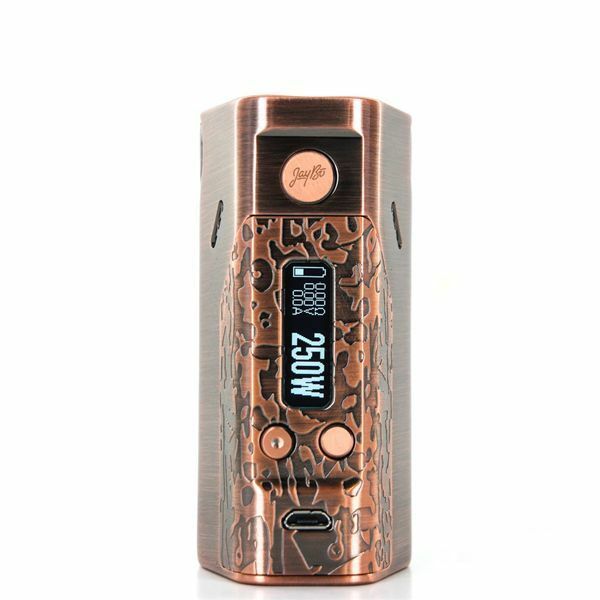 Featuring a stylish bronze finish, the Reuleaux DNA 250 retains the industry changing three battery powered design of the original Reuleaux, offering one of the most well reviewed and beloved form factors and ergonomics available. The Kylin RTA by Vandy Vape takes a forward progression in the rebuildable segment, carries on Vandy Vape innovative line-up with a dynamic airflow system and a postless quad terminal build deck. The Perseus RDTA by Vandy Vape presents the next generation of builder-orientated rebuildable platform, deploying an ergonomic two-post build deck with four terminals in stepped design, 4mL juice capacity, and capable bottom airflow system. The ICON RDA by Vandy Vape is designed in collaboration with Mike Vapes to create a highly versatile and performance-orientated platform that integrates an unique two-post with four terminals in stepped orientation and innovative hedged airflow. 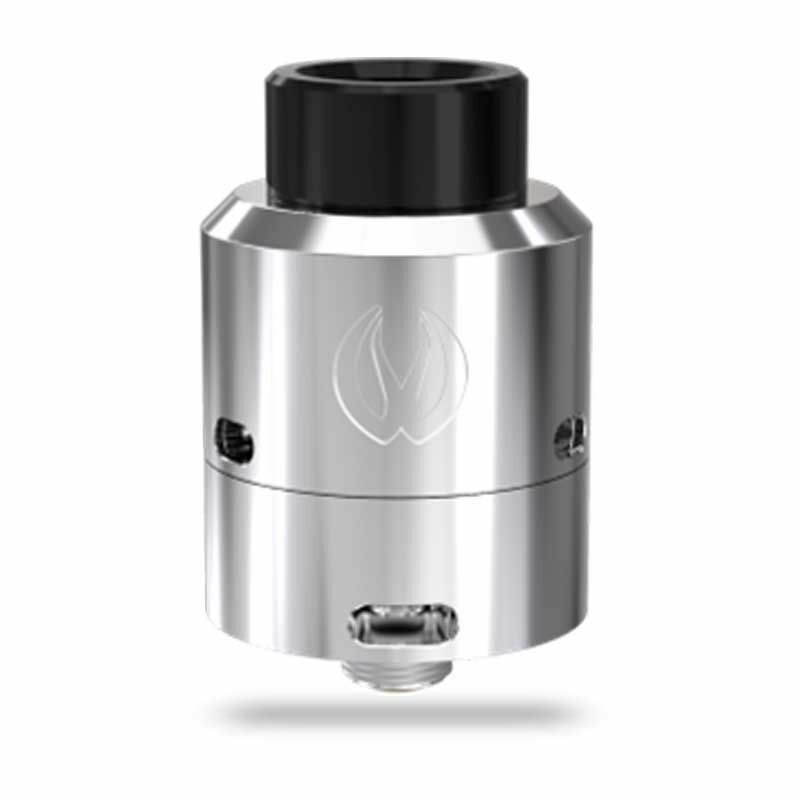 The GOVAD RDA by Vandy Vape presents a top-echelon rebuildable structure with elite design elements, implementing a dynamic flavor-centric airflow system that features side and bottom airflow alongside a spring-loaded two-post design with clamp-style mechanism. 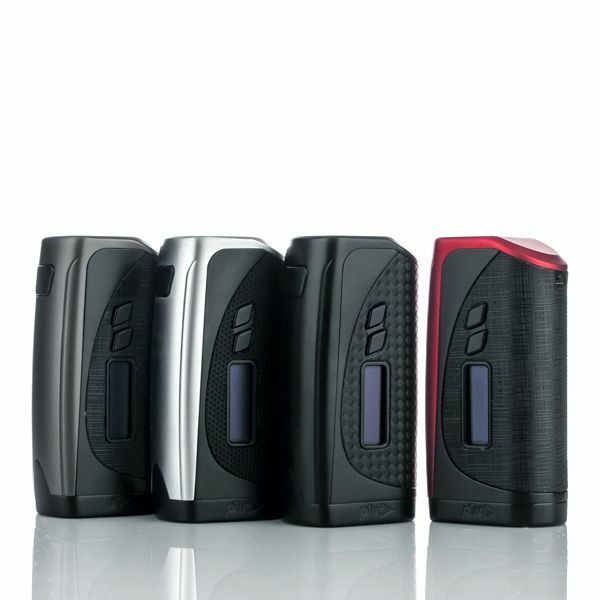 Sigelei J150 plus is the newest vaping gadget from Sigelei.It’s max wattage reaches to 160W with dual 18650 batteries.It handles a temperature range of 100-300C/200-570F and operates in: POWER/SS/TI/NI200/TCR/TFR modes, it supports TCR, TFR heating wires for custom settings.Sigelei J150 Plus features a combination of red and black colors. The Pioneer4You iPV Vesta 200W TC Box Mod presents a modernized workhorse device, integrating the latest YiHi SX-410 Chipset capable of outputting up to 200W paired with one of the most sophisticated temperature control suite in a streamlined chassis. Demon Killer Resin Tube for is made of ressin material. It will bring more options for you ! Get it as a spare part. Here comes the Wismec Motiv POD Kit, an elliptic device with replaceable cartridge by Wismec, applies the leak-proof system with the innovative side filling design. With a 4ml capacity, it is convenient for users to enjoy a better vaping experience. 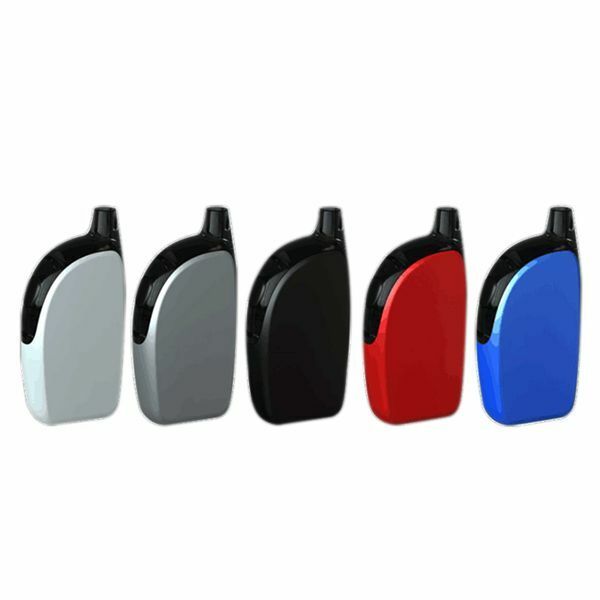 Compact yet efficient, the neoteric structure makes the device portable in use and fashionable in look. Coming with various attractive colors for your preference, the newly added indicator light of seven changeable colors also makes Motiv quite popular and unique. 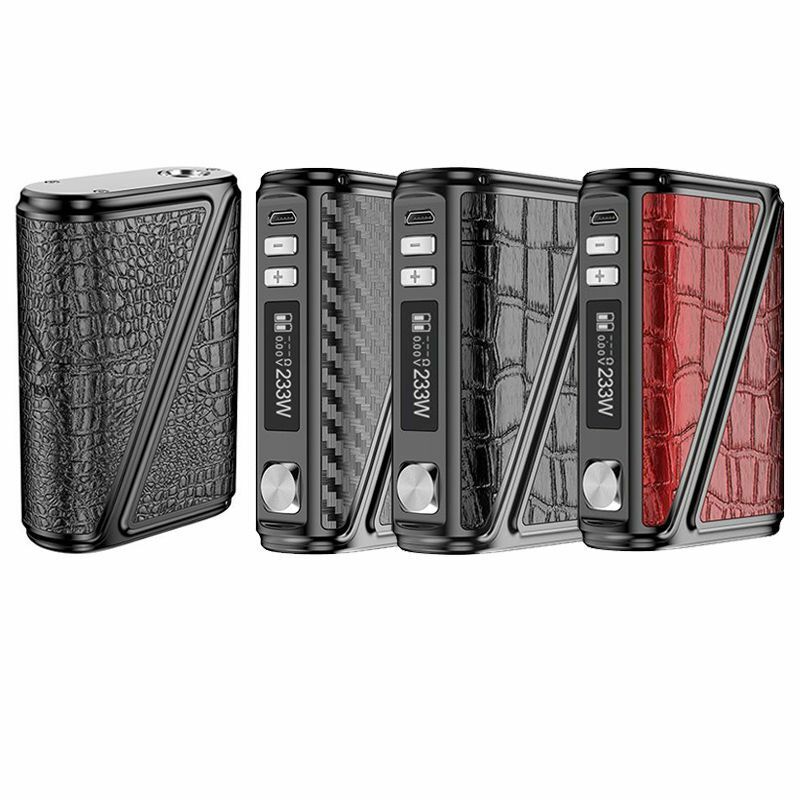 Dimensions: 5-1/4" x 1-1/8" x 3/4"
The Lost Vape Coral DNA60 Box MOD, based on the concept of concise beauty design and constructed from die cast zinc alloy, features a high-defintion OLED screen, activation button with programmable multicolor LED indicator, adjustment buttons and USB charging port. This Coral DNA60 mod is equipped by single 18650 battery, providing preset profiles in Nickel(Ni200), Titanium, and Stainless Steel(SS) coil builds for ready to go. 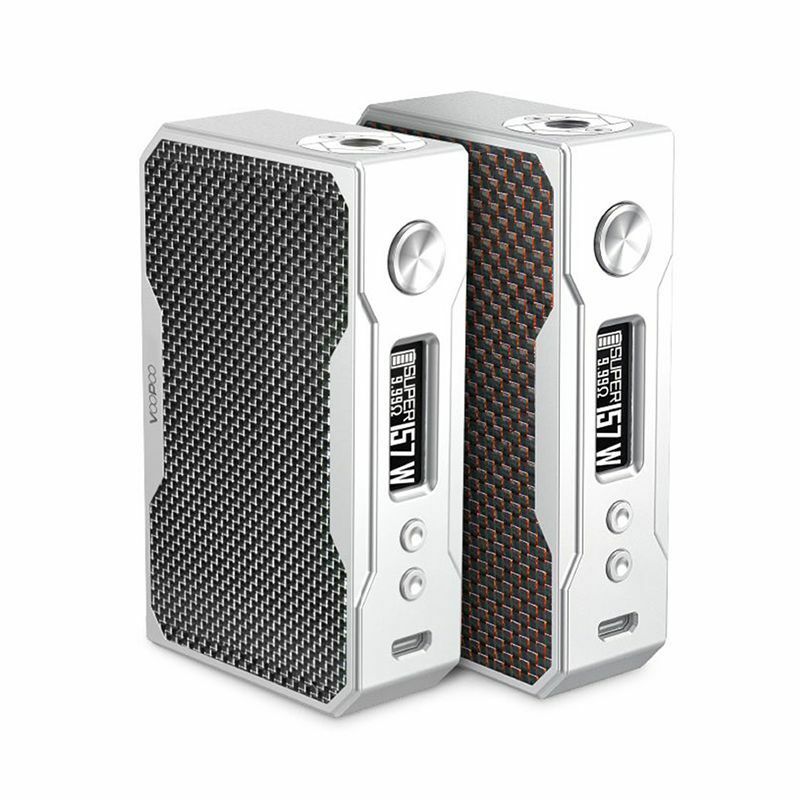 IJOY Captain PD270 Dual 20700 Mod will run from two batteries, power up to 20,700, screen, motherboards and power buttons are assembled, the new battery from IJOY replaced the traditional format of the 18650. In view of the growth of technology needs and the widespread increase in capacity, it is necessary to improve and battery technology. 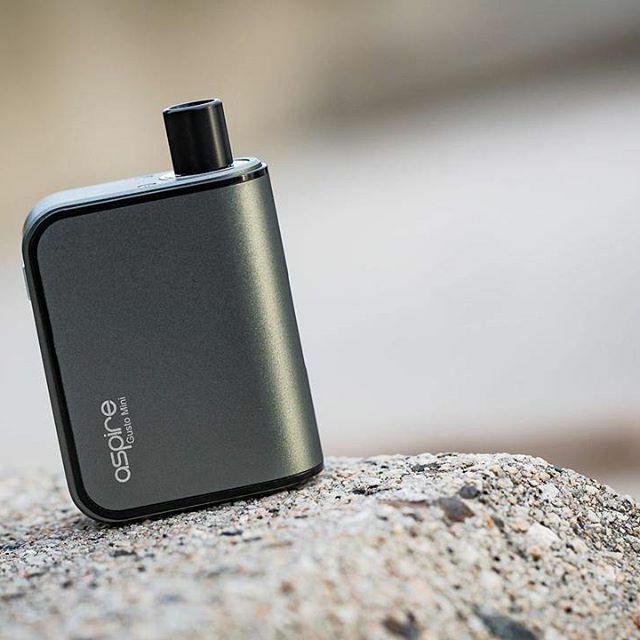 The Aspire Gusto Mini Closed Tank System Starter Kit is a compact and pocket-sized device, with a high quality leak-proof design, it will performs well and provides you an unforgetable vaping experience. 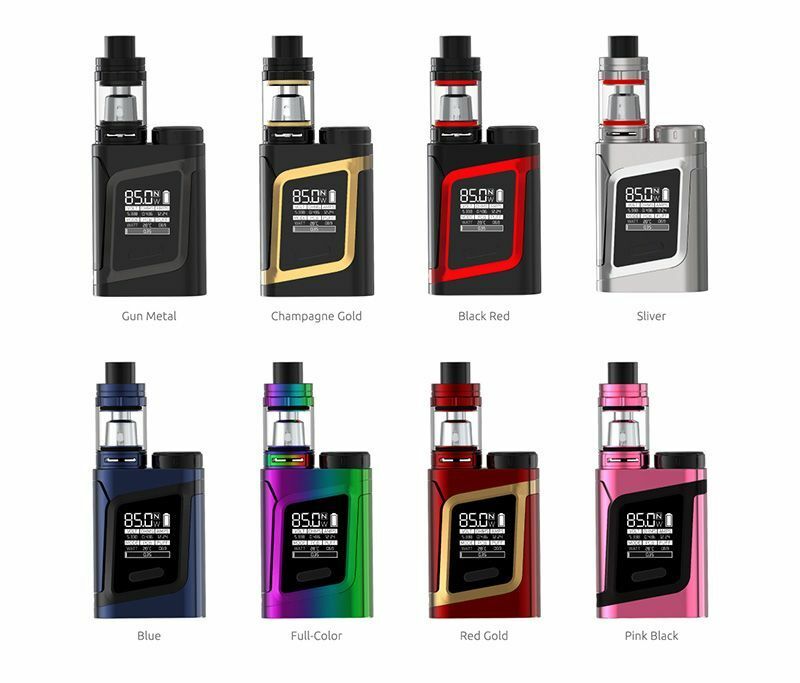 SMOK GX2/4 Kit Standard Edition with TFV8 Big Baby Tank is the latest device by SMOKTECH. The maximum output reaching up to 350W when powered by 4 x 18650 batteries, and offers dual 18650 batteris device capacable of maximum output of 220W, supports VW/TC modes. 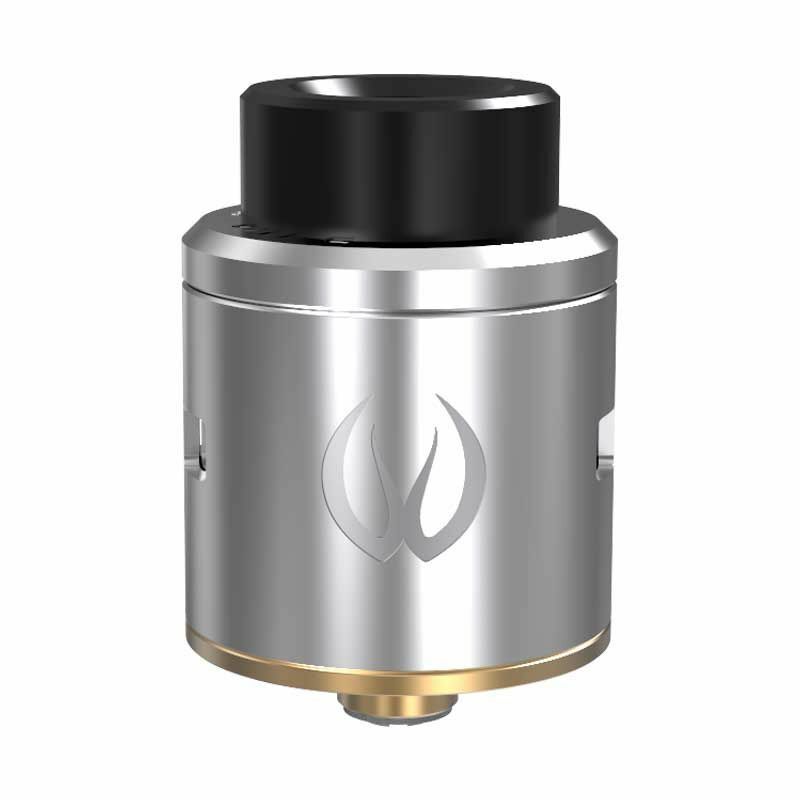 Augvape DRUGA RDA Rebuildable Dripping Atomizer ,a design that we have not seen before in RDA and probably in most atomizers engineering. 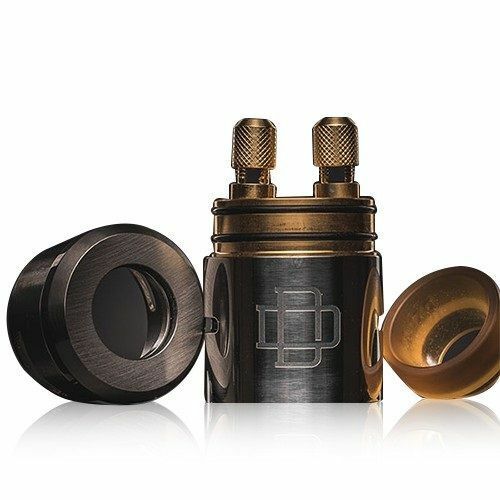 DRŪGA RDA is the 1st atty which use CSS ( Clamp Snag System ) for it dual posts to make your coils installation easy peasy, Allows for a Wider Variety of Coil Structure Compatibility. Vandy Vape ICON RDA Rebuildable Dripping Atomizer presents a top-echelon rebuildable structure with elite design elements. Through dedicated research in user-friendly functionality and creativity in designs, the ICON RDA was intuitively crafted by Mike Vapes. It renders all other RDAs obsolete with its immaculate build deck comprised of two posts with four staggered post holes. This unique design allows builds of all shapes and sizes to be installed effortlessly. The ICON RDA features an exclusive hedge-styled airflow design created with flavor chasers in mind. Alternate flawlessly between single and dual coil airflow with its adjustable airflow cap. Squonk pin is included for use with Squonk Mods. The Uwell Crown III Sub-Ohm Tank is the modernized rendition of the trendsetting Crown series, elevating the Sub-Ohm segment with top-tier chassis design featuring 5mL juice capacity, threaded top-fill, and the innovative plug-pull Parallel Coil Structure. 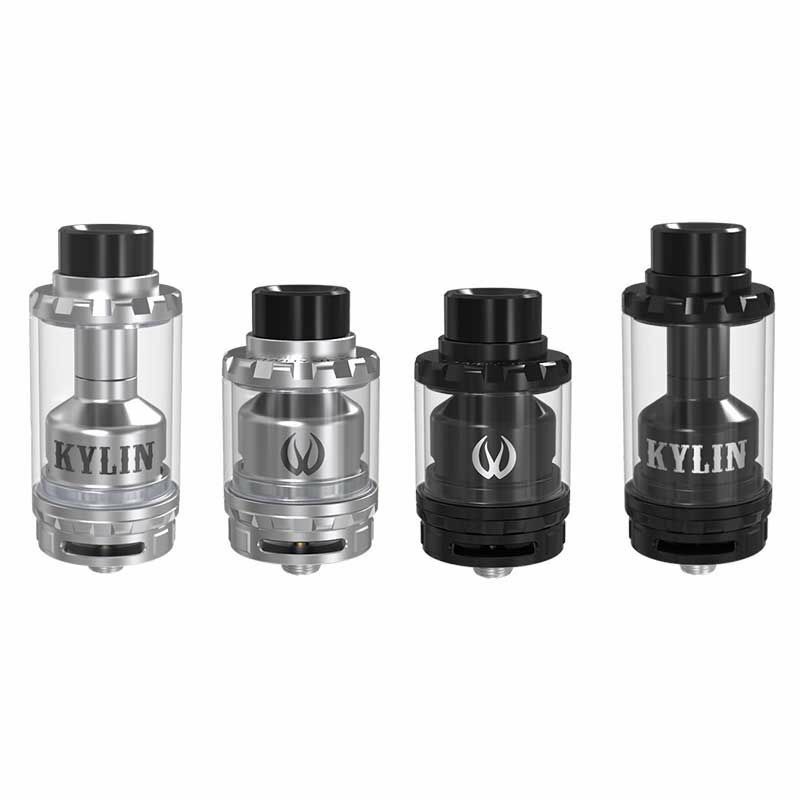 The Vandy Vape KYLIN RTA Tank is an all new flavour tank by Vandy Vape. With a completely unique deck design unlike anything we’ve seen before, this one is an absolute stunner, and hands down the best RTA on the market today! 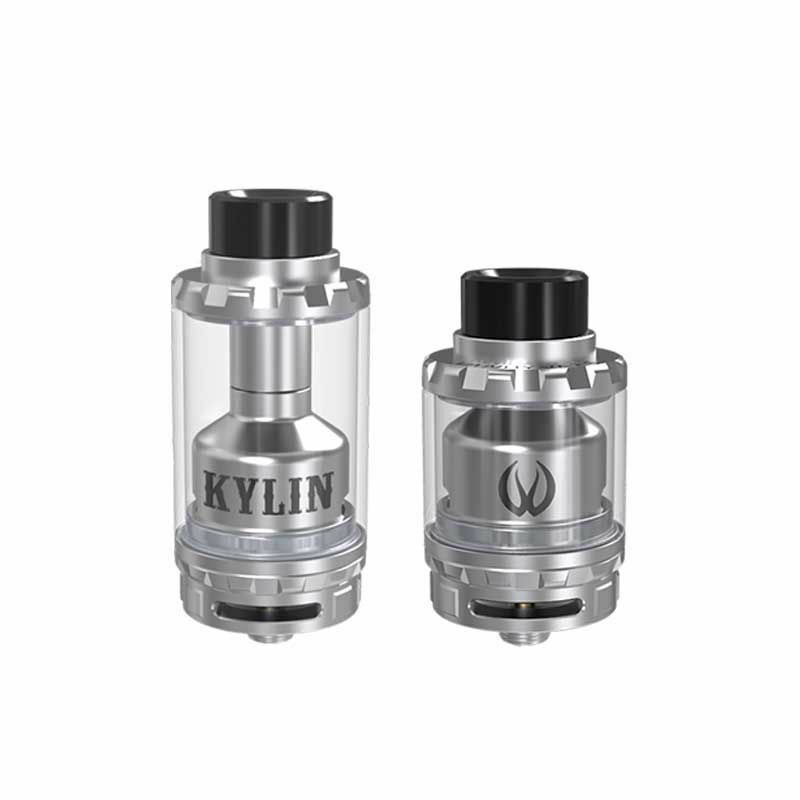 With a 2ml tank extendable to over 6ml, 24mm diameter and amazing vapour and flavour production, nothing at this time can compete with the Kylin. We’re tired of seeing the same deck designs and uninspired RTA’s, try something different with the new Kylin RTA by Vandy Vape! Employing the latest in flavor enhancing tank technology, Aspire Cleito EXO Sub-Ohm Tank Prepare to produce your own microclimate! New topside airway to bottom side chimney intake will take flavor and vapor production to next levels, as well as guaranteeing zero leaks. Top fill, easy to disassemble for ultra-low maintenance and convenience of everyday use. 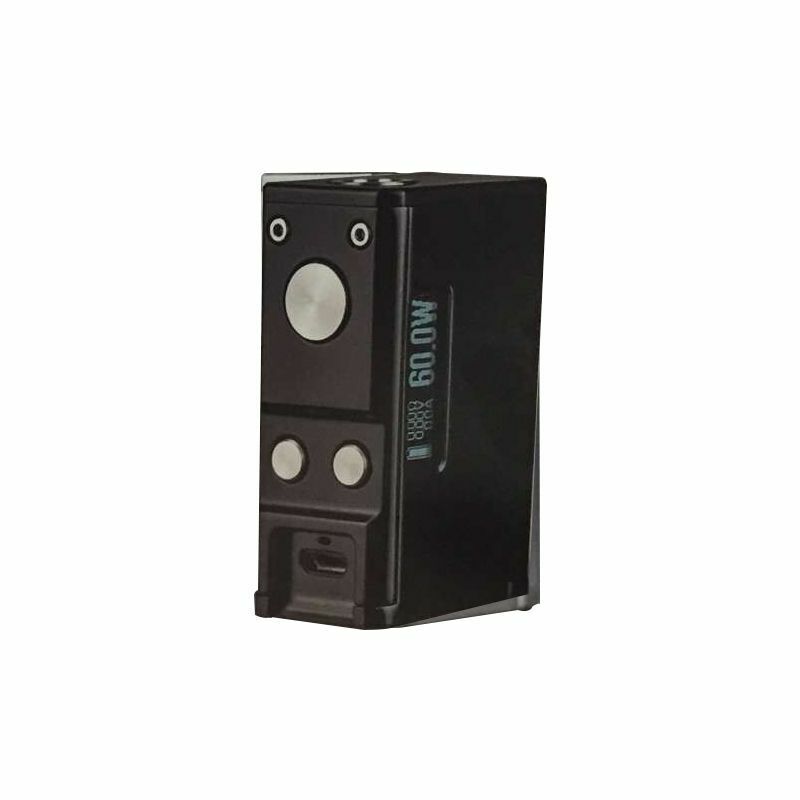 Utilizing the well-established Cleito coils, brings you storm clouds of flavor.